#102. 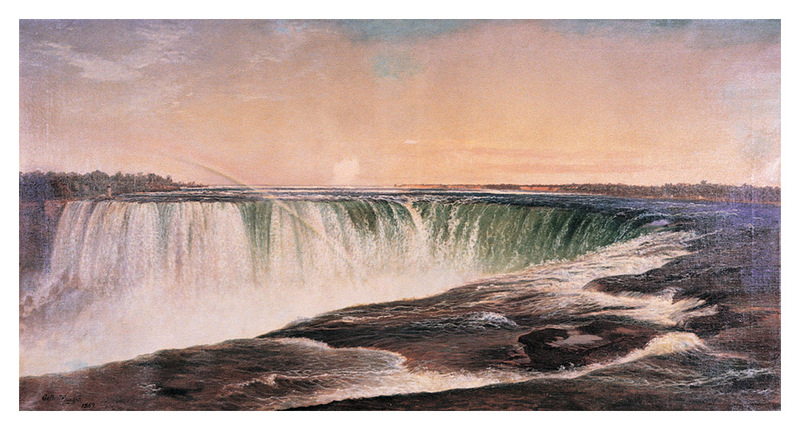 Niagara Horseshoe Falls with Rainbow. 27 x 52, oil on canvas, relined. "Gilbert Munger 1869" lower left. J. 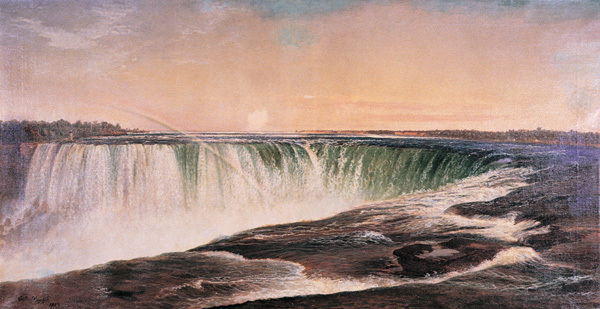 Gray Sweeney points out that the composition of this painting is remarkably similar to Frederick Church's "Niagara" of 1857 at the Corcoran Gallery of American Art, Washington D.C. QFD 5. From Munger's estate to the family of the present owner. Image from owner's transparency.